A multi-year EnviroReporter.com investigation has found that the state’s Department of Toxic Substances Control (DTSC) plans to sign off on ‘unrestricted use’ status at the Aerojet Rocketdyne Chino Hills (Aerojet). Government restrictions will end after additional munitions remediation even though site surface and subsurface water is highly radioactive. 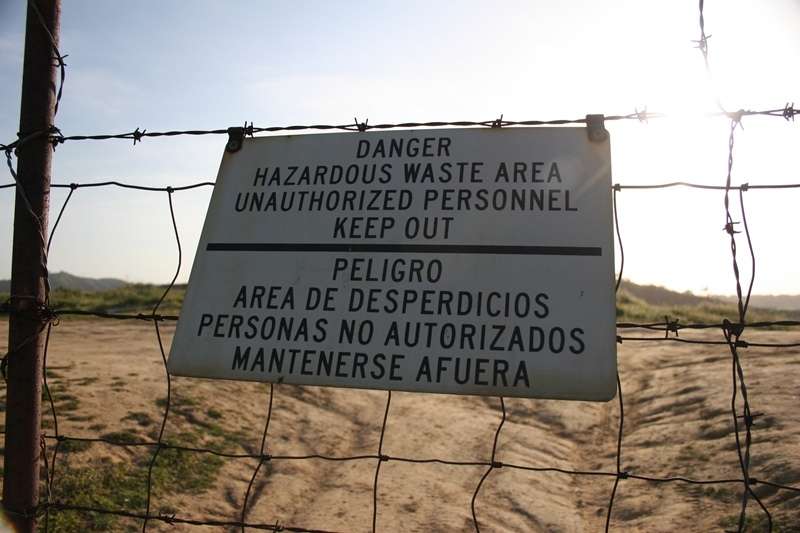 Areas of heavy metal and perchlorate contaminated soil will remain in place according to DTSC and Aerojet documents which say the levels are safe for humans and the environment. These revelations come as DTSC accepted comments on the latest phase of the Aerojet cleanup that were due June 13. EnviroReporter.com analyzed the documents to be commented on as well as related reports and public involvement communications and submitted this reporter’s 2016 comments and questions. Our input questioned DTSC’s science and assumptions that could lead to Aerojet being developed for luxury homes without the department’s promised thorough cleanup. The land is bordered by a golf course, rustic ranches and a state park. 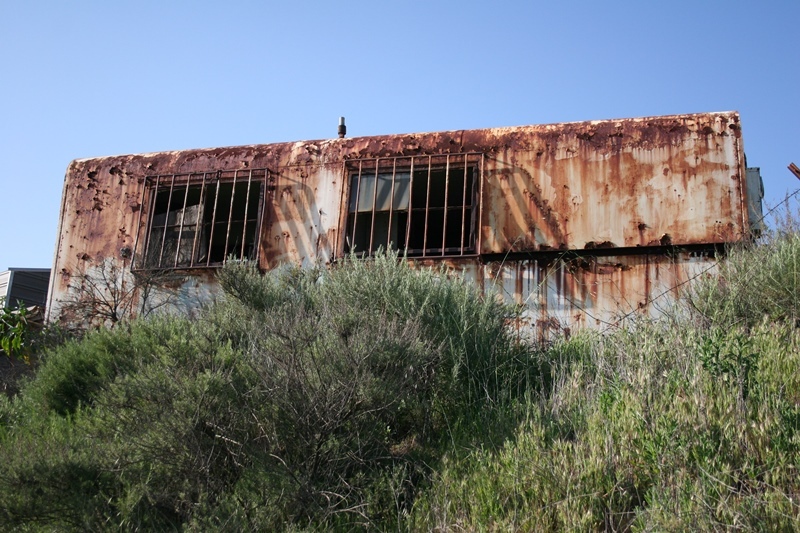 This latest round of Aerojet remediation, which DTSC’s has overseen since 1994, includes a comprehensive unearthing of more of the bomb and munitions fragments left at the 800 acre site, 562 of which are owned by Aerojet with the rest leased. The company previously excavated over 260,000 cubic yards of soil that was re-excavated and re-screened with over 47,000 items and 120,000 pounds of inert fragments recovered and trucked offsite as EnviroReporter.com reported in March 2009. The new work targets Munitions and Explosives of Concern (MEC) and is scheduled to commence in the fall. 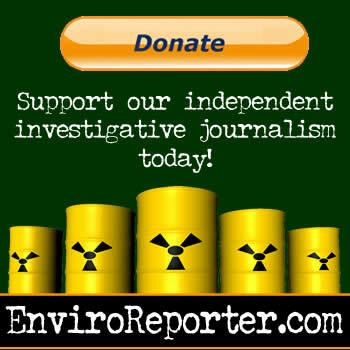 EnviroReporter.com found no flaws in this part of the Aerojet cleanup. It is unlikely to be disruptive to anyone and there is little chance tainted dirt will escape the dump trucks leaving the property destined for a licensed hazardous waste dump. But that’s where the good news ends. DTSC has failed to address the high amounts of radiation surface water flowing off the site, all of which goes down a protected stream and into the Santa Ana River which is a drinking water source for millions. The agency has also reneged on the tough cleanup standards that it had promised the community, a decision which could result in higher cancer rates. 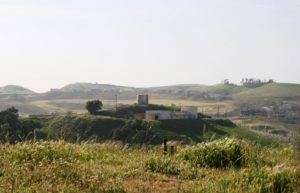 DTSC will allow heavy metals and perchlorate to remain that were found to be hundreds of times higher than the background of the same contaminants at the infamously polluted Santa Susana Field Laboratory (SSFL) in eastern Ventura County. DTSC has garbled science and failed to produce the reports it bases its dubious radiation and heavy metal safety claims on. None of this is surprising. EnviroReporter.com exposed this ‘captured by industry’ organization awash in incompetence and hostile community relations in Toxic Department in 2012. That revelation, among others, helped lead to a 2013 Consumer Watchdog report and subsequent California State Senate hearings in 2014 that ultimately amounted to nothing. DTSC’s Aerojet Rocketdyne Chino Hills blunders have included failure to properly identify where the site is, trouble understanding what a chemical is, denying there’s any groundwater under the property and a series of scientific and mathematical blunders that have even left this reporter scratching his head. 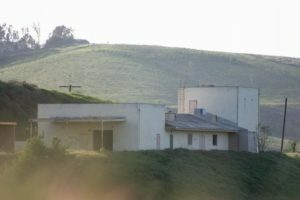 Seven years of analysis, number crunching and calculating the real data has led EnviroReporter.com to conclude that no amount of exposing DTSC’s mistakes in Chino Hills will deter the department from soon certifying the property as good to go for residential development. It is anything but according to its own reports. All of this information comes from the reports that DTSC has deigned to share on its website and our analysis backed up on the spot. There’s no guesswork here. 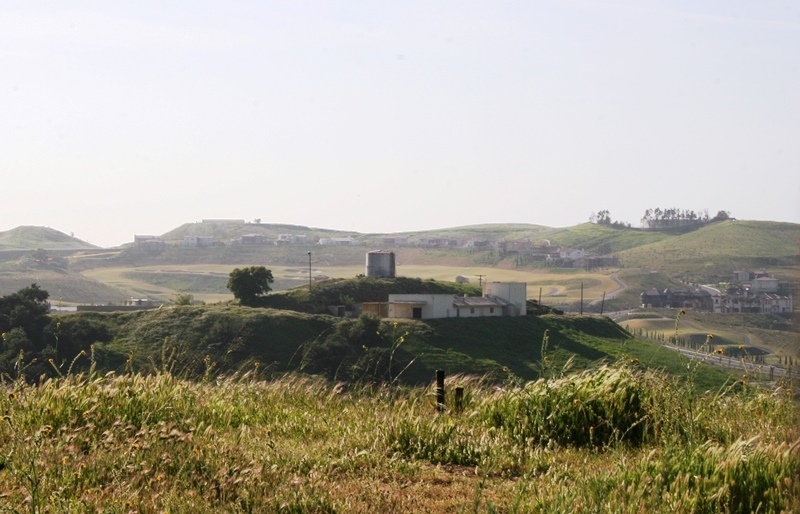 The city of Chino Hills and its residents have two choices – ignore the realities of the radiation and chemicals in the hills or lock this polluted property in land covenants that prohibit land development other than using it as a graveyard or a place to hike. Taking on a corrupt state agency and the company that polluted the land in the first place would seem to be a tall order for most communities. Chino Hills, however, seems to be made of sterner stuff. The toxic rocket fuel oxidizer perchlorate has been found at levels hundreds of times higher in Aerojet soils than the background of the contaminant at SSFL. That is quite an accomplishment considering SSFL conducted over 30,000 rocket engine tests, many involving this chemical, leaving the place so polluted that it has and will cost hundreds of millions to clean up. Perchlorate impacts the thyroid and is especially dangerous to pregnant women, infants and children. It can impact a kid’s intelligence and damage organs at a human’s most important developmental stage. The pollutant has fouled drinking water supplies across Southern California and the nation. Cleaning up just perchlorate pollution will cost billions, an aerospace legacy that outlasted America’s most robust days in space. The highest Aerojet perchlorate soil reading topped out at 853 times SSFL’s perchlorate background which was derived from a $41.5 million study of the lab’s poisons released in 2012. The perchlorate-impacted Aerojet dirt required “no further action” according to the October 15, 2008 Corrective Measures Completion Report Addendum [CMS Addendum] on DTSC’s website. 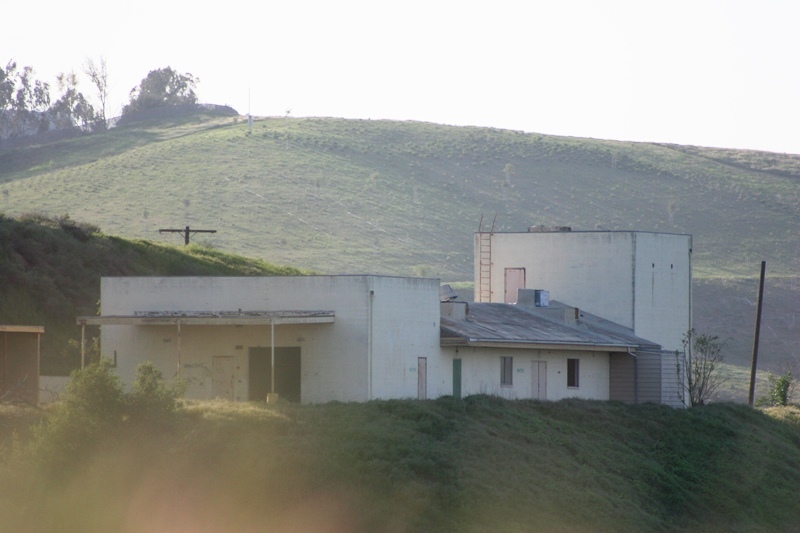 The DTSC-approved report’s justification that a “risk assessment” nullifies the high perchlorate shows that this troubled agency has hornswoggled the public by violating its own pledges that any contamination remaining on the site would not give cancer to more than one in a million people. It’s a scientific sleight of hand designed to fool most folks and media, a risk-based system of measuring human exposure to radiation favored by the nuclear industry because it is much more lenient. The one in a million risk determination method is based on dose and is much more precise and protective. The federal Environmental Protection Agency [EPA] relies on this dose-based formula that derives hard numbers on each chemical and radionuclide’s concentration that would break individual thresholds, which are usually close to the substances’ backgrounds. These near background numbers are called the Preliminary Remediation Goals (PRGs). DTSC is a California-EPA department and claimed in an October 17, 2000 DTSC report on Aerojet that stated “All contamination exceeding cleanup levels will be removed such that the site-wide carcinogenic risk will be less than 1 x 10(-6) [one in a million].” This is the normal dose-based measurement criteria used by DTSC, Cal-EPA and the federal EPA. “Risk assessment” results in vastly higher amounts of radiation and chemical contamination than does the one in a million PRG approach. That means more cancers and more fatalities. It also means that millions can be saved in cleanup costs because the polluter doesn’t have to clean up as much. By DTSC reneging on its PRG pledge, vast amounts of contaminated soil will be left at the site as the 2008 CMS Addendum shows. “Arsenic, cadmium, chromium, molybdenum, selenium, and vanadium were detected… at concentrations significantly higher than background levels,” the report said, while recommending “no further action” status for the impacted areas. EnviroReporter.com questioned those tests in May 1, 2009 comments to DTSC which were responded to over a year later without bothering to inform this reporter that our observations and questions had been finally answered. Indeed, DTSC has never bothered to inform EnviroReporter.com of anything regarding Aerojet despite our media coverage since 2000 and requests to be notified of any site developments. That was the last time EnviroReporter.com ever heard from Romero or the Aerojet DTSC team including any public information officer. 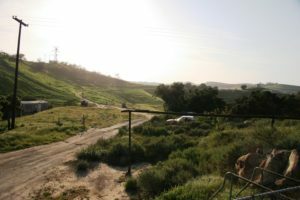 In 2014, EnviroReporter.com reader and Chino Hills resident Ashley Kibler contacted us about our comments, now five years old. DTSC’s response to EnviroReporter.com’s comments, now online, were dated nearly a year after Romero had promised them in two weeks. Passing the buck and mangling the science, the DTSC comments first fobbed off our requests for the DHS depleted uranium studies again trumpeted in the 2015 CEP. The problem is that there is no evidence that the Radiologic Health Branch has any Aerojet information publicly available. A search for Aerojet on its website yielded zero results, let alone any radiation reports that would back up DTSC’s assertions that the site is not impacted by radioactive runoff. Indeed, DTSC is responsible for releasing the site after it is remediated of all its contaminants, including radiation, so to refer a reporter to another agency is either stonewalling or reflects an incompetent overseeing of the entire project. The buck should stop at DTSC when it comes to Aerojet Rocketdyne Chino Hills, but according to DTSC it clearly does not. 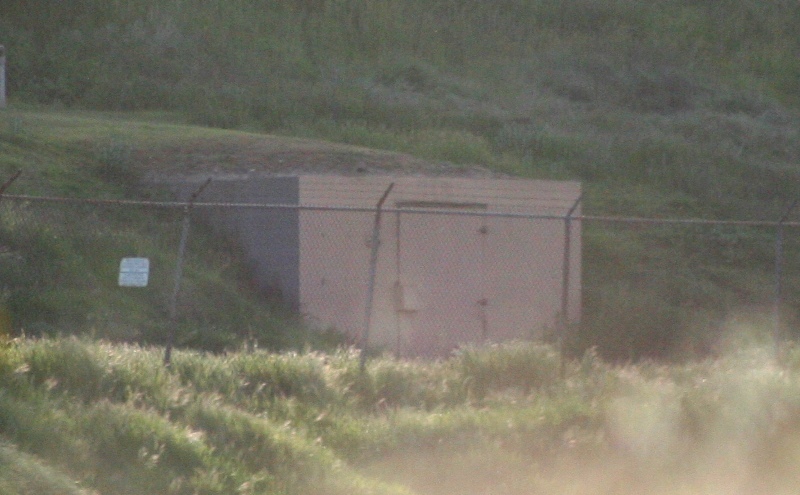 The 0.0885 milligrams per liter (mg/L) of uranium in Aerojet surface water flowing down Soquel Canyon Creek into the water supplies for millions of people in Orange County translates to 59.8 picocuries per liter (pCi/L) according to the Department of Energy. DTSC incorrectly stated that is 32.4 pCi/L, underestimating the amount of radiation in the water by 46 percent. Furthermore, California’s MCL for uranium in drinking water, including drinking water sources like ‘blue line’ stream Soquel Canyon Creek, is 20 pCi/L. That means Aerojet surface water is three times the state’s Maximum Contaminant Level and a violation of the Clean Water Act that protects ‘blue line’ streams like Soquel Canyon Creek. Aerojet’ subsurface water is even hotter. Its reported 0.404 mg/L equates to 147.8 pCi/L according to DTSC in its 2010 response to EnviroReporter.com comments. That works out to 7.4 times California’s MCL for uranium. It’s not like DTSC doesn’t know the importance of these findings. It just doesn’t tie together where all this goo goes and the huge significance of that. Either out of sloth or deliberate cover-up, these radiation readings are ignored and dismissed by the department. Perhaps DTSC didn’t think anyone would notice or care. A California Environmental Quality Act Initial Study created and signed by Romero February 16, 2016 shows that DTSC should well know the significance of its liquid uranium problem. Nearly all of it drains down Soquel Canyon Creek. Even with this shocking level of radioactivity in a protected drainage, DTSC nevertheless proclaimed in its 2010 response to our observations and queries, “Uranium readings were not missed.” They may not have been missed, but actually measuring and interpreting them correctly did not happen. Mangling the numbers wasn’t the only worrisome aspect to DTSC’s tardy 2010 responses. The department continued its tradition on not seeming to know where the site is or what it sits on top of. We chided it only half-jokingly in July 2009 in Does DTSC know where Aerojet Chino Hills is? because it had placed the facility’s location in the middle of a Chino Hills golf course. Apparently DTSC failed to check that unlikely notion with the regional water quality control board which has a Santa Ana Hydrologic Basin Planning Area index of maps showing that there is groundwater mapped under the site. Even DTSC’s own maps of the facility include groundwater wells in an adjoining privately owned Hokum ranch property still undergoing cleanup from munitions contamination. The intervening years have only emboldened DTSC’s proclamations of an Aerojet land free and nearly clear for unrestricted use. The 2015 DTSC Community Engagement Plan provides some prime examples of more regulator snookery. Perhaps DTSC doesn’t realize that the extremely high uranium in Aerojet’s surface and subsurface waters is a chemical as well as a radiation-emitting substance. Uranium is a chemical. As Byzantine as DTSC’s misstatements can be, this one in particular is clearly false. This is false as our analysis shows. The so-called “residual levels of uranium” include a trebling of the MCL of uranium in Aerojet surface water impacting a drinking water source and subsurface water over seven times the drinking water limit. In other words, DTSC is saying that even after the cleanup, large tracts of Aerojet land won’t be fit for residential development. This begs the question – will DTSC and Aerojet provide future owners a “Do NOT Build Here” map? And why would any prospective proprietors want or have to excavate former bomb and DU projectile testing areas to bedrock and backfill them if the place has been totally remediated and fit for unrestricted use? Perhaps to add levity to this string of uncertainties, DTSC recommends building roads on canyons of fill regardless of drainage or soil settling issues. All of this nonsense is in one paragraph on the most important part of Aerojet Rocketdyne Chino Hills issue – the future. The public’s last chance to comment to the DTSC on one of the last iterations of the ongoing cleanup passed June 13. Even with an added two week comment period extension, some longtime community activists were unclear as to just how high the stakes are. A DTSC Aerojet community meeting April 11 did little but generate a local paper’s slant reflected in its headline that the Aerojet meeting revisits old fears. 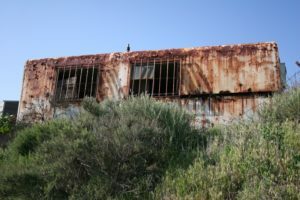 The intimation was that the only problem with the place was people’s perceptions of it, not the depleted uranium, unexploded munitions and gooey uranium. Not everybody was fooled. 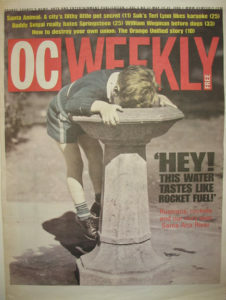 Even before this EnviroReporter.com exposé hits the virtual newspaper racks, a deep-seated distrust of DTSC over Aerojet Rocketdyne Chino Hills has been forming. Longtime community activists like Hope for the Hills member Dana J. Lamb, who submitted comments before the deadline, aren’t buying DTSC’s line that all’s okay at Aerojet. The strength and clout of the Chino Hills community has grown exponentially since EnviroReporter.com began covering Aerojet 16 years ago. It will need every ounce of energy and pound of clout to roll back the dictums of DTSC. Even considering the formidable odds, the people of Chino Hills just might have the moxie to succeed. @C Flores: We are sorry to hear your unfortunate story. The story you just read is a good place to look for answers along links to the kinds of reports you would like to see. We suggest that you look at our Aerojet Chino Hills Investigation page to see the breadth of the problem and our coverage of it which began in 2000. Our articles with links to related studies should give you a clearer picture of the situation. Stay closely tuned for new Aerojet Chino Hills news. I have family who has lived in Los Serranos ( Chino Hills for 40 Years) My family has had more than their share of illnesses all during their childhood and in to adult hood. All there animals have become sick and cost hundreds of dollars. Now my sister has been diagnosed with cancer. She has a mutation in her genes that is not genetic. I have always believed the ground is poison ! Has there been any studies of that area? If so where can I read the reports on the levels of contamination? Do you know of any cluster illness in this area? Thank you for this information. I’m very concerned about the environment in this area in chino hills. I have lived here since 1995 and have raised 4 children so there is great concern about the health of my family. My daughter and I have some Health issues that could be linked to Aerojet Chino Hills. Thank you. Thank you Enviroreporter for the extensive work you’ve put into covering the so-called cleanup activities of the Aerojet Facility. The tragic reduction of traditional newspapers and magazines has decimated the rich tradition of real investigative journalism and I am incredibly grateful for your site and it’s efforts to keep the facts that corporate and governmental institutions try to hide exposed to the public. Considering the seemingly consistent incompetence or corruption of the state organizations who are responsible for protecting our citizens, we need your help more than ever. On behalf of my family, community, and the future generations which will be saddled with the results of environmental irresponsibility, I thank you. > The toxic rocket fuel oxidizer perchlorate has been found at levels hundreds of times higher in Aerojet soils than the background of the contaminant at SSFL. And the SSFL was and is a toxic-waste nightmare. The people of Chino Hills need to battle against unrestricted use of this land without additional clean-up. Just like Runkle Canyon, the heavy equipment used in construction will create dust plumes that will decorate the entire Inland Empire with perchlorate crystals. Here’s my daughter’s idea. At ceremony Hope for Hills people and city pledge to make Aerojet park. 800 more acres of pretty land no one ever live on because just too high pollution but you can walk. We can do this. All information we need in this article. When we win we name something in new park after these reporters because Thank God they wrote this. Here’s a link which shows Chino Hills’ demographic data for 2010. It’s now 2016 and my friends from that area tell me that the Asian and Latino population of Chino Hills has now grown to be at an even greater extent than the 49% found in 2010. My friends say that Chino Hills residents include many older Asian immigrants. Though DTSC may no think about it, older people of all races are far more likely to be immuno-compromised than people in their 20’s. I have to wonder if DTSC’s callous non-remediation decisions are somewhat race based, with DTSC thinking that it’s no big deal to DTSC and its constituency if affluent immigrants are made ill by environmental contamination. Just because an area is going to be used for “luxury housing” that doesn’t mean DTSC and the polluter get a free pass on making a new residential subdivision safe from a public health point of view. Thank you for reporting the high levels of perchlorate and depleted Uranium in the soil of the Aerojet Rocketdyne site in Chino Hills. Uranium contaminating surface and sub-surface water to levels 3 to 7.4 times higher than allowed in the State MCL is the important information the public needs to know. Whether this contamination is located in the designated OB/OD area, or nearby areas designated for Corrective Action, seems to be one issue. But if public health and safety is the overall mission of DTSC, the ultimate use of the Aerojet site and offsite migration of any contamination would seem to be their chief duty to the public. Thanks to Enviroreporter.com and Michael Collins, for excellent reporting and diligence in protecting the public interest. I read your questions and comments to the DTSC, and I am impressed with the detail and thoroughness of your inquiry. It leaves me wondering how the DTSC can come to the conclusions that they do. Mistakes are one thing, perhaps they were honestly made. Failing to acknowledge them, or correct them, which would lead to completely different conclusions is an entirely different matter. Hopefully, your article will lead to a renewed public review of the DTSC’s report. DTSC, just another bureaucratic governmental group that is available to the highest bidder. They have no compassion for the health and safety of the local neighborhood and it shows as their failures continue to stack up, starting with the Exide plant in the city of Vernon.